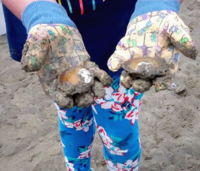 Clam Digging in Siletz Bay is comprised of Purple Varnish and Softshell clams. 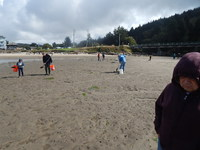 Last Fall my grandsons, Brandon 16 and Zac 12 accompanied me on a trip to Siletz Bay to dig limits of Purple Varnish Clams. The boys cleaned the clams at my home, took the cleaned clams home where they made Oregon's crème style clam chowder. 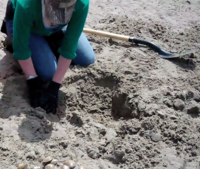 Purple varnish clams are the ideal clam species available to introduce those new to digging clams the Art of Digging Clams. 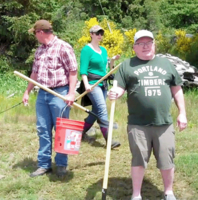 Welcome all to Siletz Bay. 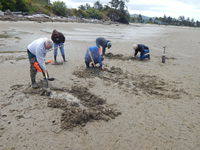 Following the clam digging lecture, participants will meet at the gravel pullout just north of the Bay House Restaurant located on the west side of Hwy 101. To get there, travel south on Hwy 101 in Lincoln City through the traffic signal at SW 51st St in the Historic Taft District. Cross over Schooner Creek and go past the asphalt paved Schooner Creek wayside parking area. Park at the newly paved pullout just south of the Schooner Creek wayside and north of the Bay House Restaurant. If the newly paved parking area is full park at the Bay House Restaurant parking lot located on the south side of the restaurant. 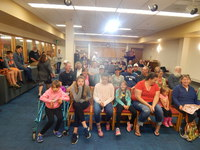 Scroll down the page to view the 2018 Clam Clinic Schedule. 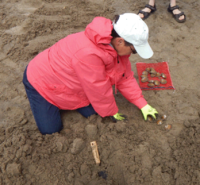 View the 2017 Clam Clinics they are the window to the future. 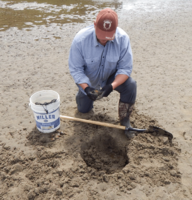 2018-07-02 Mon 10:23 PDT -0.20 feet Low Tide Clam Digging Lecture at 10:30 am. 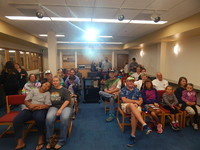 In the first photo, it is standing room only. in the second photo, the Four Brothers are the backdrop for the clinic dig site. 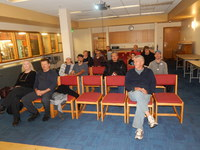 over half of the diggers had finished and left for home. 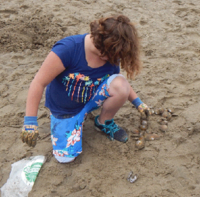 In the third photo, a family visiting from Rocky Mountain High dug two limits of clams. 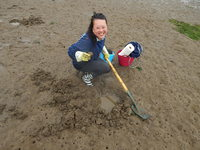 The young lady in the first two photos winning smile and positive attitude was rewarded by digging large clams. 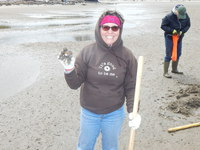 The lady in the third photo recovered from a month long coma to dig a limit of clams. 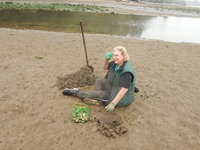 The first location in the bay where we (that's me) choose to dig clams was flooded by the rising tide of the tidal surge associated with the first major low pressure weather system of the season. 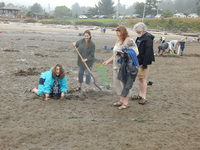 Our answer to the rising tide was to move our clam digging clinic to the original clam digging locations. 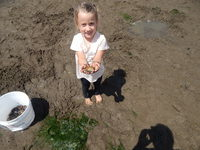 Moving the clam digging location was a success. 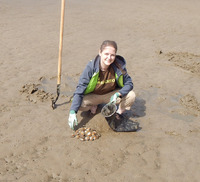 Everyone went home with purple varnish clams; but, the tidal surge rose faster than our ability to exit the bay. Barnacle Bill's Seafood Market was established 1949. Bill's is a family run seafood market carrying a variety of seafood that will satisfy your needs. 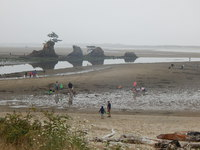 Have the taste for seafood while visiting the Lincoln City Area then Barnacle Bill's should be on your places to visit. 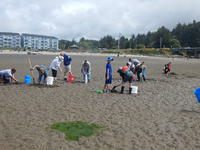 Located on the south east corner of HWY 101 and NE 22nd St. the seafood market is easy to visit.